Some fuel retail networks, by default of their geography, are harder to manage than others. 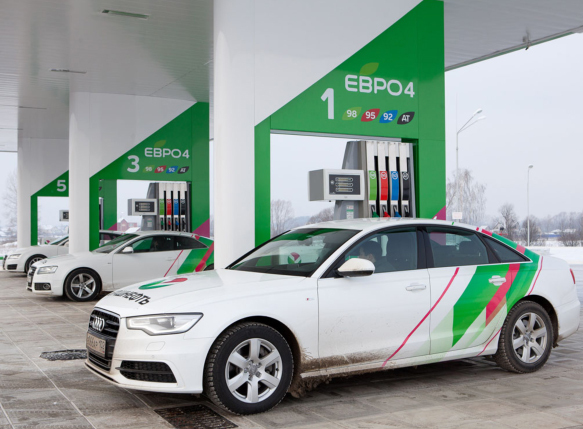 The Bashneft network for example comprises 485 own filling stations in the Republic of Bashkortostan, the Republic of Udmurtia, Orenburg and Sverdlovsk regions, as well as over 220 partner filling stations in about 20 regions of Russia. With such a diverse network comprising a number of different brands in various states of repair, the opportunity to homogenise all the disparate elements under a singular brand of excellence was obvious. In 2011 the Russian oil company decided to proceed with reorganisation and consolidation of its subsidiaries resulting in a large-scale rebranding project. 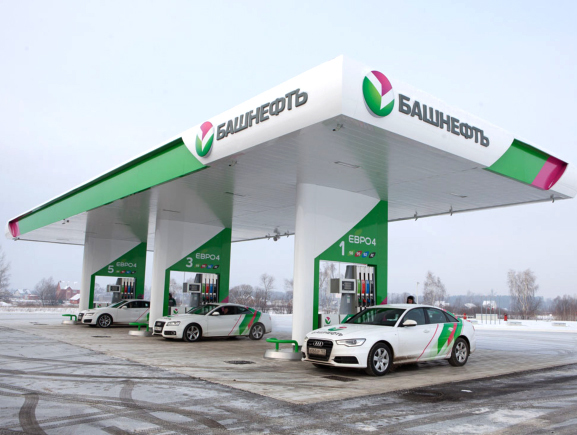 The redesign of its corporate identity was awarded to Russian design company Direct Design whilst the redesign of the petrol station and convenience shop was awarded to international design consultants Minale Tattersfield.  The new logo is an evolution over the old and provided the angular aesthetic for the graphics. The reapplication of decorative elements (colors, gradients, lines, angle) across the entire design reinforces brand recognition and its symbolic strengths. 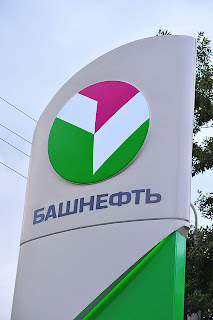 The use of the colour magenta (mostly for the shop) is a first within the fuel retail industry. Together with a saturated mid-green and a white as neutral anchor, the design clearly sets itself apart from its competition, and when juxtaposed against a winter white landscape, it begins to look quite stunning. LED lighting was used throughout for its longevity and low energy consumption characteristics and gave the opportunity to add a dynamic lighting effect on the canopy, lending it greater visual impact. The subtle interplay of the more curvilinear architecture neatly produces a modern retail statement that is both customer friendly and practical to build by local contractors – more images to follow.